Sting Like Queen B! Bonang Claps Back At Twitter Troll! Bonang Matheba has become a savage on these twitter streets and she is taking no prisoners with her clap back on social media trolls. 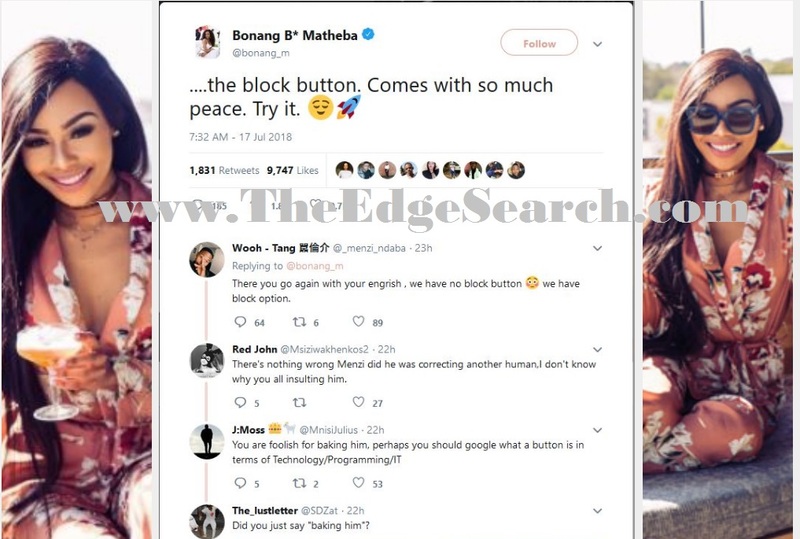 It seems there are still trolls who think making fun of Bonang’s English is still a thing and funny and one recently learnt the hard way never to come for Queen B!